A&A Quinn Roofing Solutions are members of the Federation of Traditional Metal Roofing Contractors (FTMRC), and as such we can offer a fully underwritten insurance backed warranty for traditional hard metal roofing and cladding installations. As the focus is now on specification it is envisaged that the requirement for an insurance backed warranty will become the norm in contract documentation. With access to the scheme being available only through FTMRC members, it gives the architect and building owner the comfort of knowing their project will be undertaken by a recognised installer of good standing, adhering to the FTMRC Guide to Practice. Clearly defined installer’s responsibilities and liabilities. Augments the manufacturer and installation guarantee. Provides 10 years of cover with an option to extend. The warranty is transferable with the building ownership. It offers the flexibility to cover both roofs and/or facades. The scheme’s insurers are regulated by the FCA. 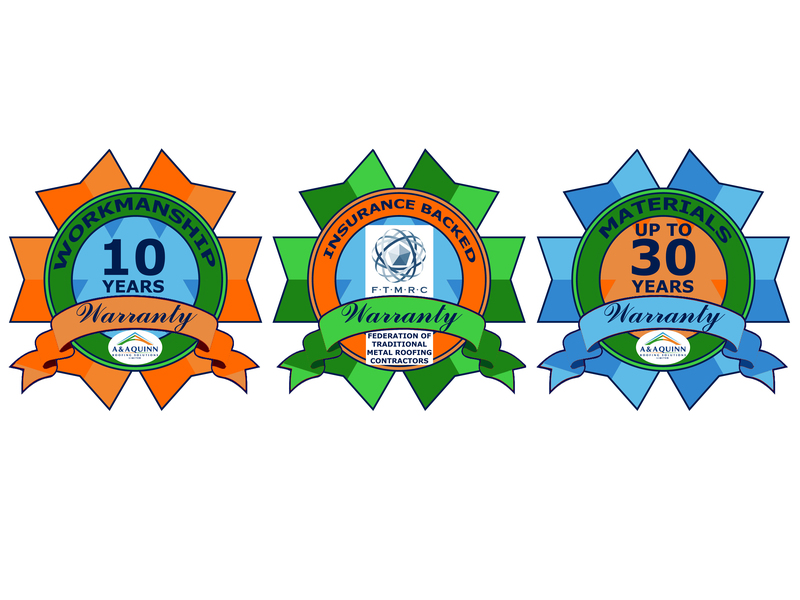 Warranties are available from all of our other suppliers for up to 20yrs. 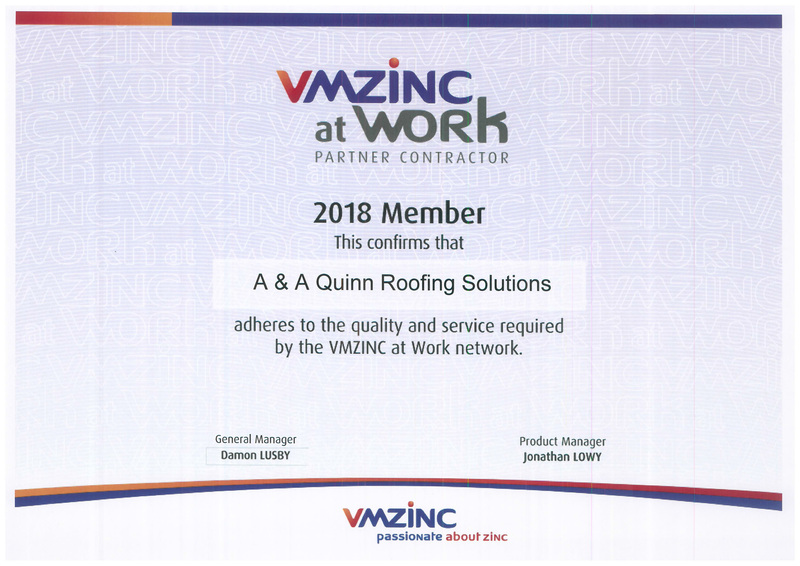 A&A Quinn Roofing Solutions take pride in our workmanship and offer a 10-year workmanship warranty on our roofing and wall cladding installations. Our experienced work force is registered with traditional methods (VMZINC @work partners) and emerging systems such as FATRA installation, Spanwall RF50 & Nvelope Cladding systems.